Comments: Florence Schleppy (Nee: Edge) | MO United States | 1901-1920 | Comments: I found this in Antique Store. 1910 census living in Newton Co, MO with mother, Martha Edge 74, Pearl 16, Franklin 14 & Elmer 12. 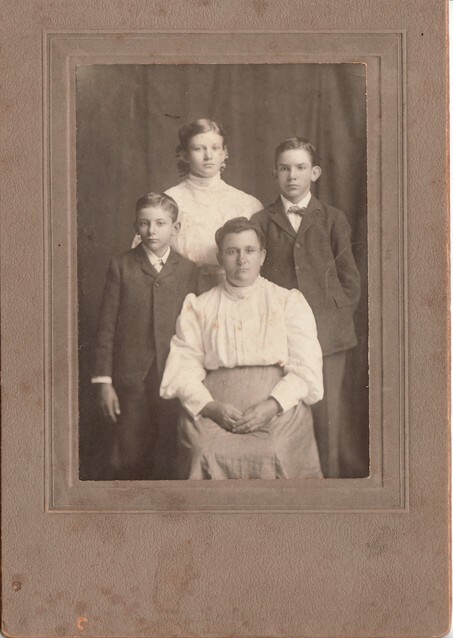 Back of photo reads: EDGE (written in pencil) written in ink: Aunt Florence Schleppy, Frank & Elmer her son, Pearl her daughter. I hope this is your family, and if so, please contact me.